Last Thursday, a second medical marijuana initiative was okayed for the ballot . The state already has one medical marijuana initiative on the ballot, the 2016 Arkansas Medical Cannabis Act , and state officials announced Thursday that a second initiative, the Arkansas Medical Marijuana Amendment , will also appear on the ballot, even though they have yet to certify that it has enough signatures to do so. That's because Thursday was the deadline to certify ballot issues. Because the secretary of state's office was not able to verify late signatures before the deadline, the second initiative has been "certified to the ballot and assigned a number." If the initiative actually comes up short on signatures, votes for it in November will not be recorded. On Monday, the state Democratic Party endorsed medical marijuana . With two competing medical marijuana initiatives on the ballot, the state Democratic Party has approved a platform plank endorsing medical marijuana. The plank calls for "the development of a responsible medical marijuana program that will receive patients in need of such relief the freedom to access this remedy." On Wednesday, a federal appeals court upheld the ban on gun sales to medical marijuana patients . The 9th US Circuit Court of Appeals in San Francisco ruled  Wednesday that the federal government's ban on gun sales to medical marijuana cardholders does not violate the 2nd Amendment. The decision came in the case of a Nevada woman turned away from a gun shop after obtaining a medical marijuana card. The ruling sets precedent for all nine states in the circuit, including California, Oregon, and Washington. 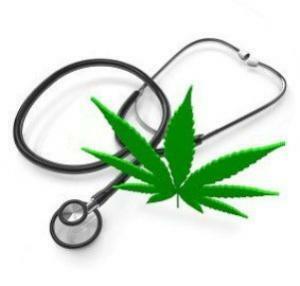 Last Thursday, the medical marijuana initiative was polling above 67%. The Amendment 2  medical marijuana amendment initiative appears headed for victory in November. A new poll from the University of Florida Bob Graham Center has support at 67.8%, in line with a slew of polls since early 2015 that show the initiative will a low of 61% approval and up to 80%. Because the initiative is a constitutional amendment, it needs 60% to pass. Last Wednesday, an anti-marijuana zealot gave up on his initiative to repeal the state's medical marijuana law . Billings auto dealer Steve Zabawa has given up the ghost on his effort to get an anti-marijuana initiative on the state ballot. His measure would have repealed the state's already seriously gutted medical marijuana law (a measure that has made the ballot, I-182 , seeks to reinstate the original law) and declare that any drug illegal under federal law is illegal under state law. He came up short on signatures, lost an initial court challenge, and now says he doesn't have time to appeal to the state Supreme Court. Zabawa said he will now concentrate on trying to defeat I-182. Last Thursday, the state Health Department called for expanding the medical marijuana program  In a report  marking the two-year anniversary of the state's medical marijuana program, the Department of Health called for expanding the program to meet patient needs. "To meet additional patient demand and increase access to medical marijuana throughout New York State, NYSDOH recommends registering five additional organizations over the next two years, using a phased-in approach to permit their smooth integration into the industry," the report said. On Tuesday, the Health Department announced an expansion of the medical marijuana program . The state Department of Health said Tuesday it will allow nurse practitioners to recommend medical marijuana for patients and allow dispensaries to make deliveries. The department also said it was considering whether to include chronic pain on the state's list of qualifying conditions. On Monday, advocaes said the medical marijuana initiative was unlikely to appear on the ballot . The group behind the initiative, State Question 788 , said they will challenge the attorney general's rewording of the battle title, and that will begin a legal process that will delay the measure beyond the November 8 election date. State officials, on the other hand, said the initiative campaign waited too long to turn in signatures. "We are dealing with processes established in both federal and state election law for initiatives proposed by the people that require specific procedures to be followed," Attorney General Scott Pruitt (R) said. "It's important for the people of Oklahoma to know -- regardless of the substance of the state question -- the signatures were not submitted with enough time to allow this process to be played out completely."